But that's not helping much. Eight million tons of plastic wash into oceans every year. What's the alternative? Is it feasible to persuade the wealthiest, most profitable corporations in the world to completely change the way they make plastic and package consumer goods? There's a group of people in a very unlikely place who are aiming to do just that. Their story starts in 2001, in Southeast Asia. Froilan Grate doesn't come across as a fire-breathing revolutionary. At 35 and just maybe 5 feet tall, with a wispy goatee, he has the kind of sincerity you might expect from someone who once wanted to be a priest. He carries a backpack and could pass for a college student. He grew up in a village in the province of Iloilo in the Philippines — a self-described "island boy" who loved the feel of hot sand on his bare feet and swimming in the ocean. But the city beckoned. He was accepted by one of the country's best universities in the capital. He chose school instead of the priesthood. At age 18, he took a 19-hour boat trip to Manila. Froilan Grate at his home in the province of Iloilo. 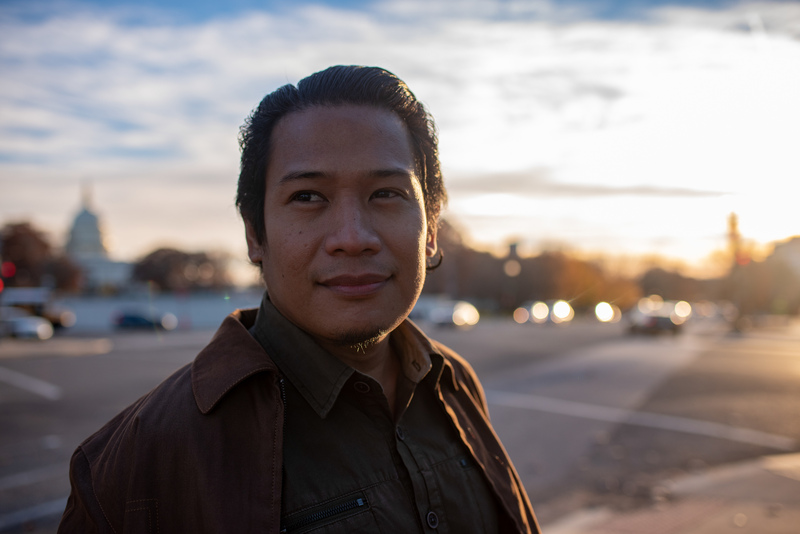 He came to Manila at 18 for college — and found his life's work: fighting the tide of plastic. Grate remembers grabbing his suitcase and rushing up on deck as the captain announced their entry into Manila Bay. "It was just excitement," he says. "And then slowly, as you come closer to the port ... I see ... garbage." He felt sick. 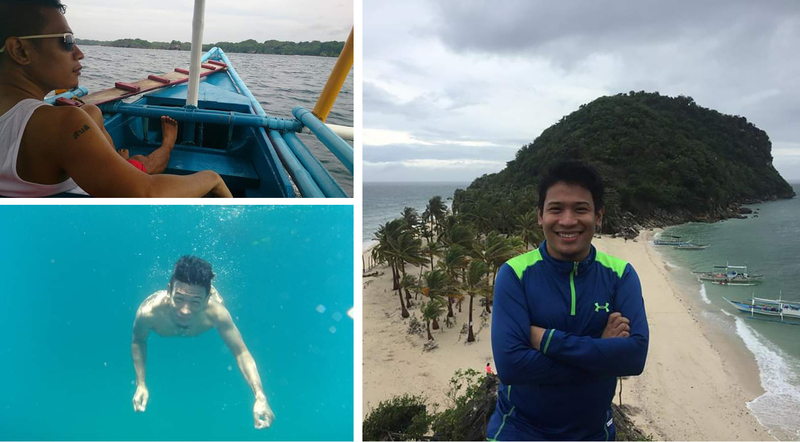 "The contrast of where I grew up, beautiful white sand beaches, clear water, and arriving in Manila where it's black water with countless plastic," he says, "that was shocking to me." Now, Manila Bay is much worse. With a growing economy and a swelling middle class, people are consuming at a torrid pace — electronic devices, packaged foods, fancy toiletries — goods either made of plastic or wrapped in it. In fact, that's the story of many Southeast Asian countries. 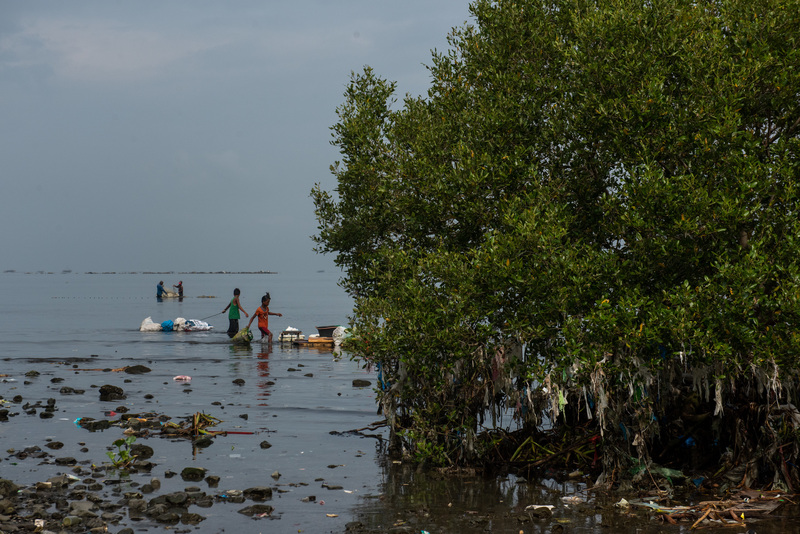 Neighborhoods like Dampalit, which lie along the bay, are like doormats for floating plastic trash. I talked to Dampalit's newly elected supervisor, Carlo Dumalaog. He is a neatly dressed businessman in a neatly kept office. "My characteristic is, I am an obsessive-compulsive person," he says. He takes me out to the balcony of his office, where he can steal a smoke and look out on the nets of the village fishponds and the corrugated rooftops of shanties built along the water. "That is the Pacific Ocean," he says, pointing to Manila Bay and beyond. "All the trash from Manila Bay washes here," he sighs. "I clean the trash and plastics, but it comes over from the other cities." And, he says, it also comes from the Pacific, from other countries. 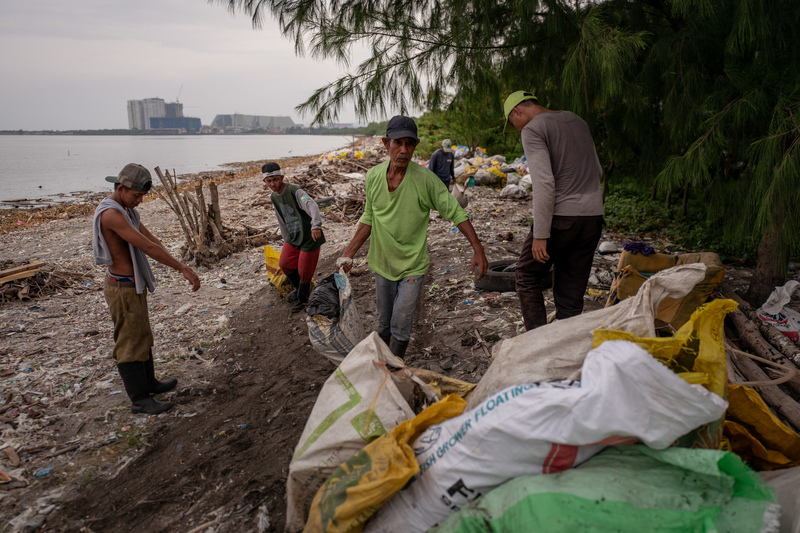 Dampalit, a fishing community in Manila Bay, has to contend with a constant influx of trash that it can't keep up with. He got involved in teaching about environmentalism, what he called "giving tools to change-makers." But he wanted faster change. "You don't actually save a marine turtle by speaking to 1,000 students at a time," he says. He joined an environmental group, the Mother Earth Foundation, and worked with waste pickers to get them formally employed by communities and to improve their working conditions. But it still wasn't enough. "You realize that despite everything that you do, you really aren't solving the problem," he recalls. 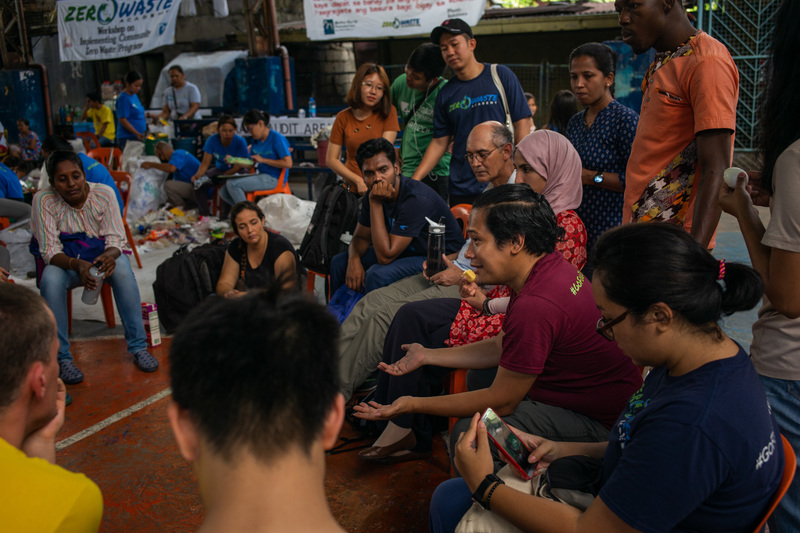 With the foundation and backing from international environmental groups like GAIA, Grate helped teach communities to collect their own waste and segregate out the plastic. The goal was "zero waste" — impossible to fully achieve but an aspirational goal. 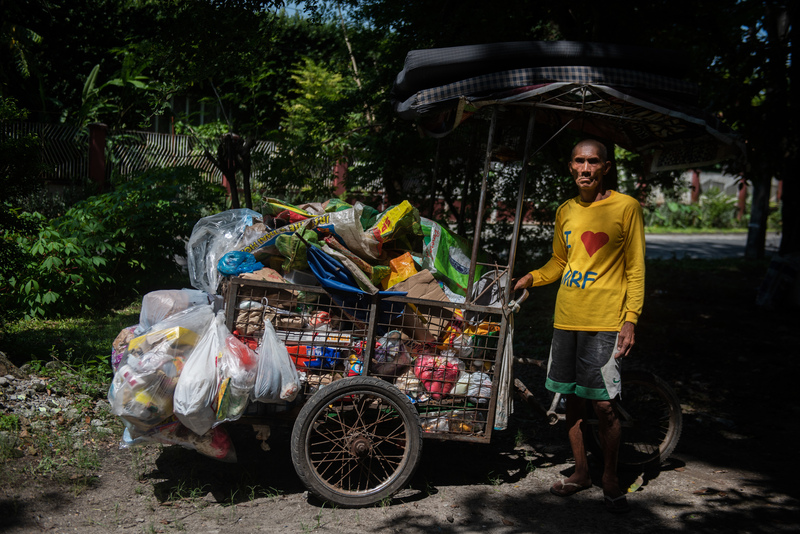 In the zero-waste neighborhood of Hulong Duhat, waste workers were hired to roll carts through a warren of alleyways, collecting bags of trash. They have a monitor, too, who charges fines if residents don't separate out the plastic. Those were the rules. 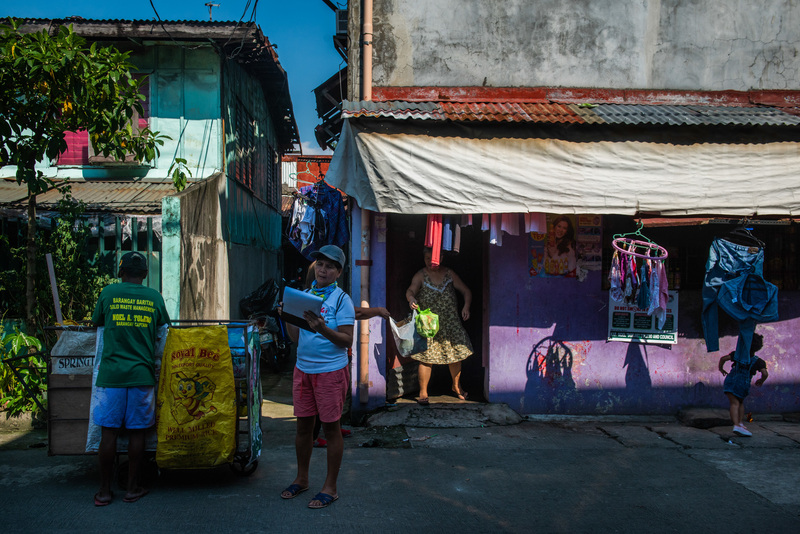 "First offense, 500 pesos," says Dahlia Sequita, a community trash monitor, with some relish. "Second offense, 1,000. And third — going to jail!" Even so, it's still hard. Says the neighborhood supervisor, Nenita Labiano: "Sometimes I do get overwhelmed with the big problem of plastic." Some people don't cooperate. "We want people to follow the rules," she says, "and yet they don't and it can be sad." Sixteen neighborhoods signed on to the zero-waste goal nonetheless, with varying degrees of success. The same problem besets them all — it's not just too much plastic but it's the stuff that can't be recycled. There's nowhere to put it, except in landfills, which are few, and from which plastic eventually migrates, by wind or water. 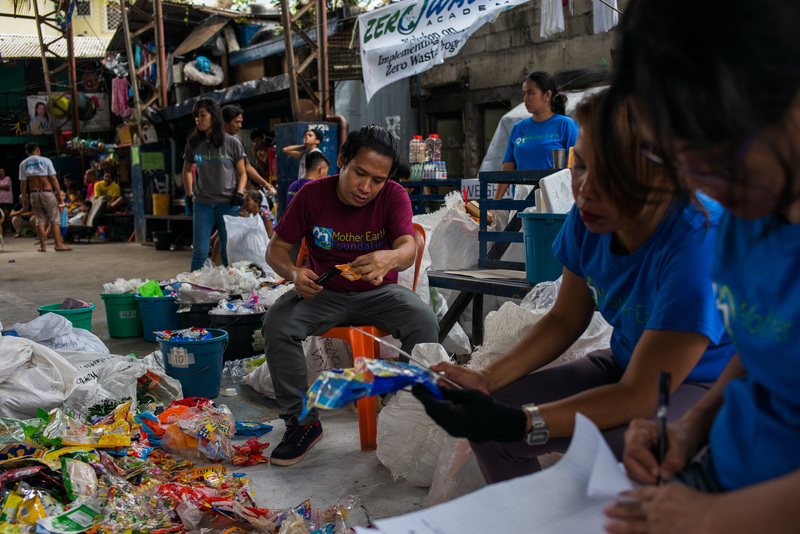 The Baritan neighborhood in Malabon city has adopted a "zero waste" policy that requires citizens to sort their trash and separate out the plastic. Above, trash collectors at work. In the late 1940s, plastic was newly popular and shiny and amazing. Consumer goods companies advertised its cleanliness and durability. What they didn't talk about much was its permanence. At the first national conference on packaging waste held in California in 1969, some executives wondered where all this plastic was going to end up. One marketing consultant said that wasn't their problem. Difficulties with plastic waste "are not the responsibility of those who produce materials, fabricate packages and package goods," he wrote in "Proceedings: First National Conference on Packaging Waste." Rather, he said, it's the consumer's responsibility. What manufacturers did was urge people not to litter, as they had for years, by funding the "Keep America Beautiful" campaign. And they continued pumping out new kinds of plastic with yet more uses. Other big companies followed suit with the same marketing strategy: a product the poor could afford, a day's supply of what they needed. Because the plastic sachets that hold food and other consumer goods can't be recycled, independent waste pickers don't collect them and they end up everywhere. You can't drive into Maysilo, a poor neighborhood in Manila near the edge of Manila Bay. You have to walk through narrow alleys. The place greets you with a burst of boombox music, the shouts of children, and barking dogs. People live elbow to elbow in shacks elevated a few feet above ankle-deep water from the neighboring swamp. 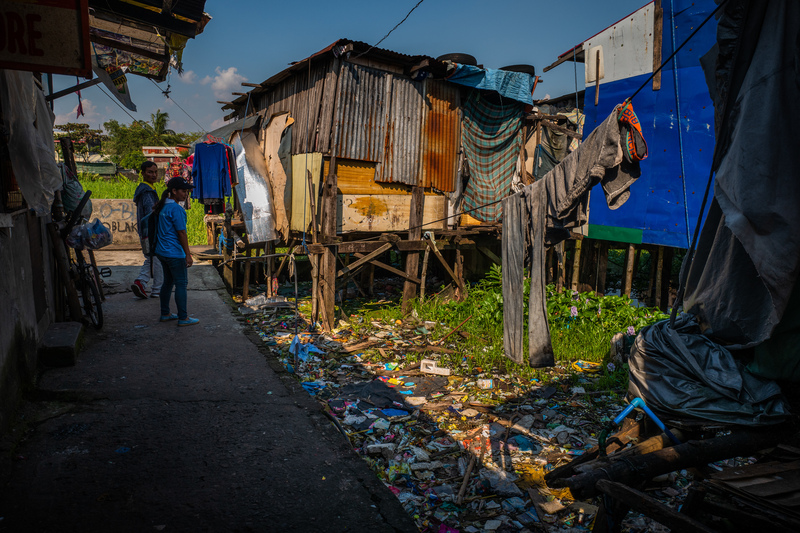 Below their shacks, you can't tell whether it's dirt or water because it's all literally covered with a uniform carpet of plastic debris, most of it empty sachets. 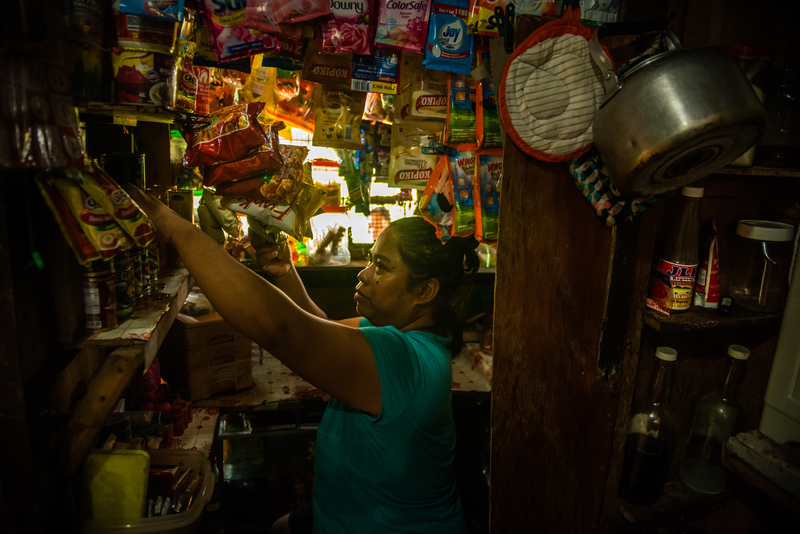 Nimfa Manlabe runs a sari-sari store (sari means "varied" in Tagalog) out of her tiny home. It's a Filipino tradition; women selling consumer goods from their homes. "Sunsilk, Palmolive, conditioner," she says, showing off her racks of sachets. Her customers "come back here every day and buy these small amounts because that's what they can afford," she explains. Because the sachets aren't recyclable, trash pickers ignore them. And even if the packets were recyclable, Grate says, most places in the Philippines don't have the infrastructure to actually recycle them. Lao praises the sachets for bringing quality products to consumers in a market where counterfeit goods are common. 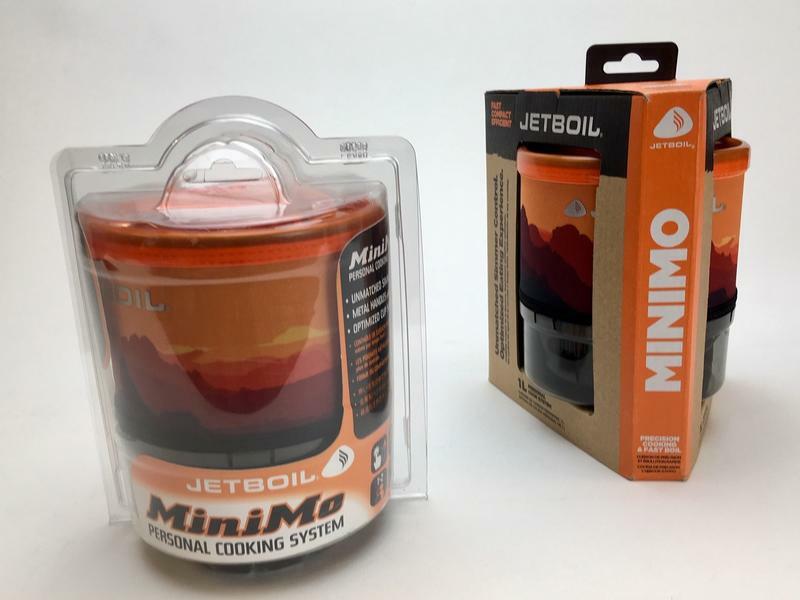 "There's also the health issue," he says: Sachets don't pose health risks to the consumers in places where water to wash reusable containers might be contaminated. Lao notes that the world's biggest consumer goods companies like Unilever and Nestlé have pledged to make all their packaging recyclable and have even set a date — 2025. But Grate says that recycling can't wipe out the barrage of plastic in the Philippines. It's a country of more than 7,000 islands. Neither the national government nor local authorities can afford to put up recycling centers everywhere. And would recyclers pay enough to motivate waste pickers to collect the trash? Grate says talk of future recycling still puts the burden of cleanup on the consumer. "The problem," Grate says, "is that most companies ... feel their responsibility ends the moment they sell it. That's one of the biggest injustices here." After several years of community work, Grate says he changed. 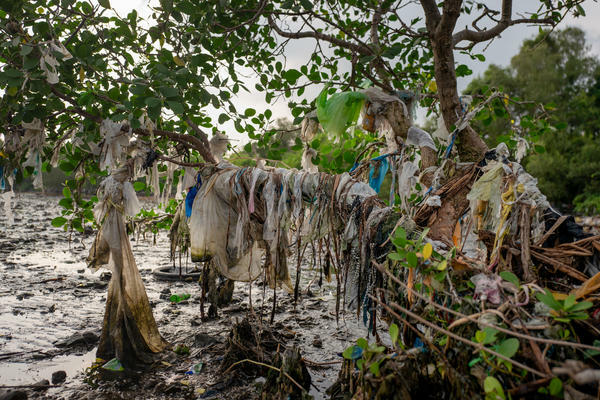 He realized that cleaning up plastic at the local level wasn't going to stop the tide. "It would take several lifetimes," he recalls thinking. "At some point you have to change the entire system." One incident stands out in his memory. In 2006, he appealed to a big Western company for help. He and his colleagues at the Mother Earth Foundation and Greenpeace wrote to McDonald's to urge it not to use plastic foam packaging. He took the letter to the corporate offices in Manila. No one would come down to talk to him. Eventually a security guard agreed to take the letter. "That very moment really crystallized for me the imbalance in the power dynamics," Grate says now. " We were not violent. We just wanted to give a letter requesting them to stop using Styrofoam in their stores." And they simply ignored him. 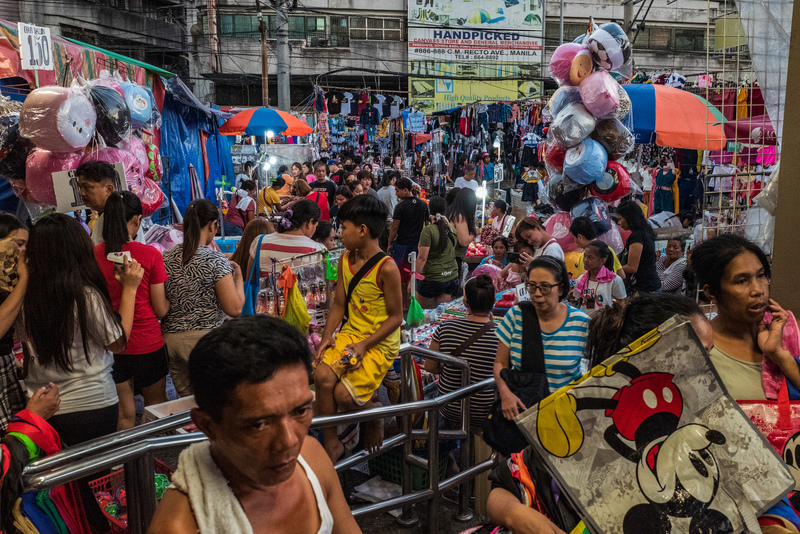 Manila vies for the title of most densely populated city in the world. 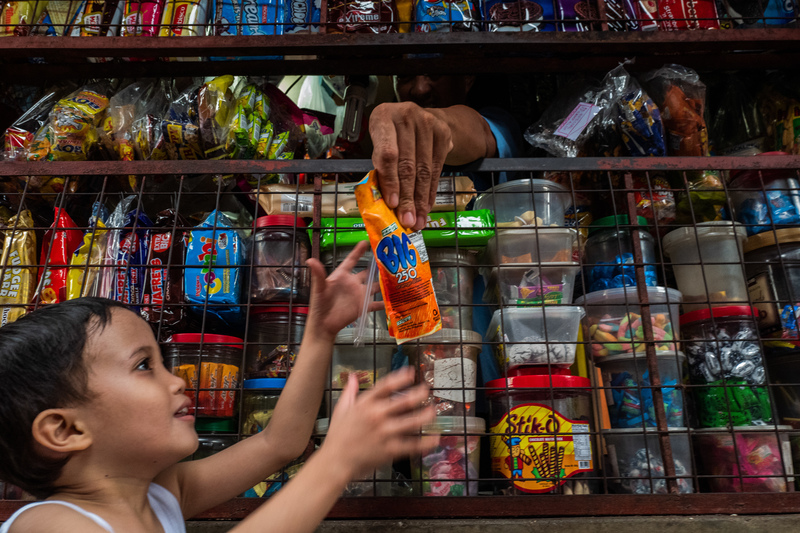 At the city's crowded markets, like the one above, increasing income has boosted the sales of consumer goods packaged in plastic. Fingers were pointed. 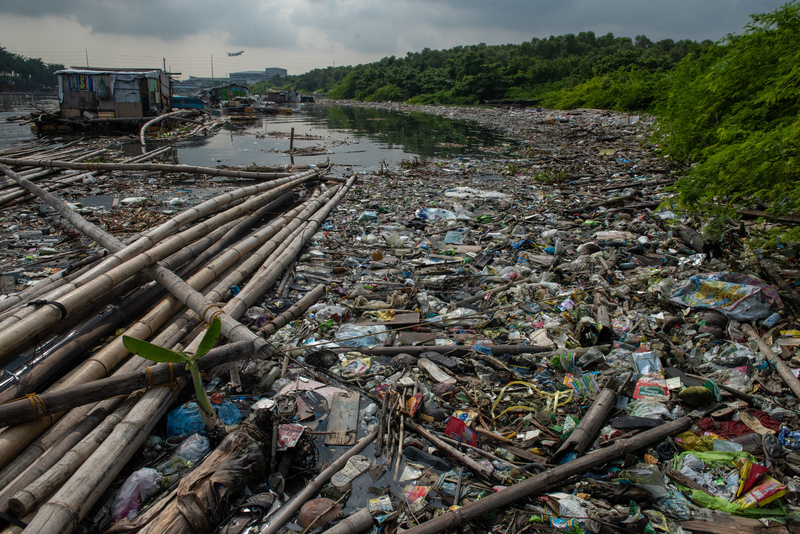 Sen. Sheldon Whitehouse, D-R.I., laid it out loud and clear in a Senate hearing: "Over 50 percent of the plastic waste in the oceans comes from just five countries: China, Indonesia, the Philippines, Vietnam and Sri Lanka. Their upland waste management systems are a failure." People in the Philippines were angry — among them, Grate. It was blaming the victim, not the manufacturers. "They know the problem, the s*** they've been giving to the country and oceans," he says. "They know this problem, but they can get away with it. We have to make sure that ends." A group called Break Free from Plastic came together in 2016. Its global coordinator is a Filipino, Von Hernandez, formerly of Greenpeace. The plan was to challenge companies. Says Hernandez: "If we cannot recycle it or compost this material, then you should not be producing them in the first place." Not much did, actually. Word spread among conservation groups that this "brand audit" was a new strategy. It was naming and shaming. But was anyone else paying attention? Grate and his team didn't know, but they kept at it. Along with GAIA and Break Free from Plastic, they've now done more than 20 brand audits in the Philippines and several in other Southeast Asian countries. 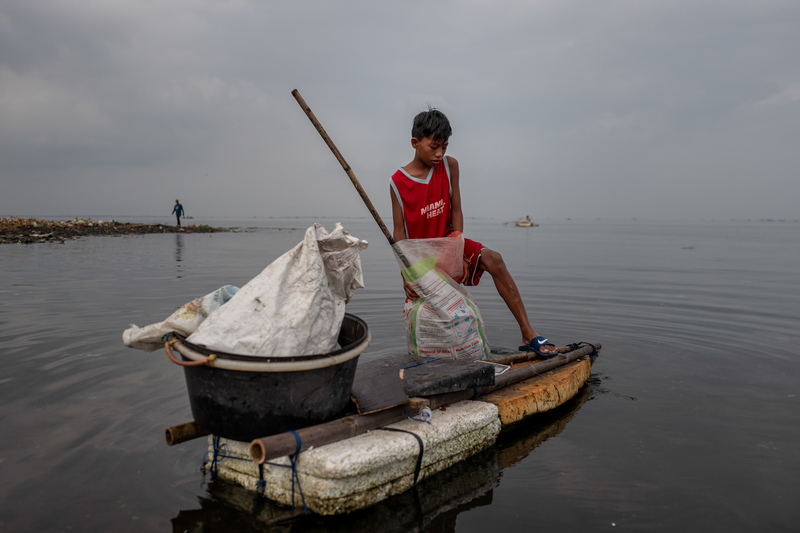 Last September, I saw one in a village called Navotas, a poor neighborhood of cinder block dormitory-style buildings on Manila Bay that floods twice a day, carrying plastic back and forth like some sort of oceanic seesaw. For the audit, volunteers sift through piles of trash, in this case collected from homes. The idea is to see not just what floats onto shorelines but what's coming from onshore. It's dirty work — eight days of community trash spread in piles on the concrete floor of a fenced-in outdoor basketball court. It stinks; workers wear masks and gloves. Grate dives in, sorting trash into different types of plastic and reading off labels while a colleague takes notes. "Colgate toothpaste sachet," he says. "Colgate-Palmolive Philippines." And another: "Sunsilk shampoo sachet, Unilever." It will take all day to go through all of it. He says the companies should be part of the solution. "So who are the companies?" he asks. "That is why we do brand audits." Lao, with the Philippine industry group, says the brand audits are a distraction. "There's a lot of very loud noises out there" about corporate responsibility, he points out. "Does it affect brand image at this point? No," he says of the audits, adding, "It has not affected actual performance of these brands in the market." He says the major consumer brands are already committed to reducing plastic waste. He notes the well-publicized pledge by the brands that by 2025 they'll use only plastic packaging that can be reused, recycled or composted. In fact, Unilever has a new chemical process to recycle sachets and a pilot plant in Indonesia to test it. Other companies have committed millions of dollars in research funds to find recyclable alternatives. In the Philippines, Lao's industry group is planning a research and development effort there to make more plastic recyclable. "The idea right now is that how can we now together, with the global partners, redesign the product so it becomes more recyclable, [and] look at recycling the existing products that are there?" he asks, "because [they're] not going to disappear overnight." But Grate's name-and-shame approach appears to have had some effect. Late last year, he got a call out of the blue. A mediation group, the Meridian Institute in Washington, D.C., invited him to come talk to people in the U.S. who were concerned about plastic waste. It was a surprise to him. He didn't know how far news of his audits had traveled. And even more surprising: The people in Washington wanted him to talk with corporate executives from some of the very companies he had been targeting. I met Grate in Washington, D.C., on a cold sidewalk in December. "I love this weather," he said. "It's like free air conditioning." He said he felt he had to come to the meeting because there was only one other Asian invited. When he got there, he found himself sitting across from senior executives from the oil industry, the chemicals industry and the consumer goods industry. Not just any companies — some of the world's biggest. He was asked not to name them; one attendee told NPR that anonymity was guaranteed so everyone could speak freely. I asked Grate if the brand audits made the meeting happen? "They weren't happy about it," he said of the audits. "And they have questions," he added, about how his group does them. "But I would say this: The brand audits contributed to the pace of the discussion that's happening right now." I asked how he felt about that. "It's great," he said, beaming. "I was made to feel that I have a voice, and people would want to listen to what I have to say. People were actually interested." 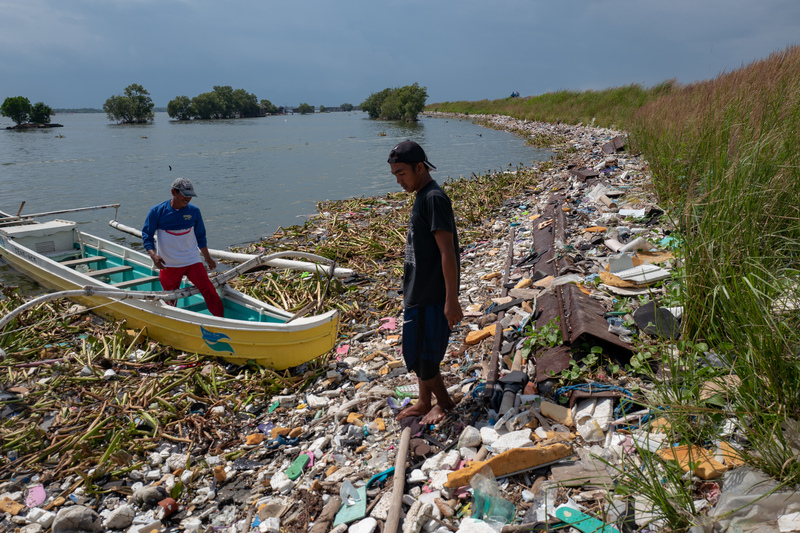 NPR's radio stories on plastic in the Philippines were produced by Rebecca Davis and edited by Geoff Brumfiel. Wilma Consul helped with translation and voiceovers. Do you have a question about plastic waste? Submit your thoughts in the form below to help shape NPR's coverage of this issue. Submissions are now closed. Read a selection of questions from our readers — and answers from the reporters — in this post. A tide of plastic waste is contaminating the oceans. And in a congressional hearing, Senator Sheldon Whitehouse named major culprits. SHELDON WHITEHOUSE: Over 50 percent of the plastic waste in the oceans comes from just five countries - China, Indonesia, the Philippines, Vietnam and Sri Lanka. INSKEEP: NPR science correspondent Christopher Joyce went to one of those countries, the Philippines, to see how bad it is. CHRISTOPHER JOYCE, BYLINE: Manila - it sprawls along the coast of Manila Bay. Shantytowns sit in the shadow of new high-rises and mega shopping malls. People here have more money than they used to, so they're buying more stuff, from fancy soaps to imported coffee and fast food, all of which is wrapped in plastic packaging. And a lot of that plastic ends up in the bay. There's an island in the bay that's kind of like a doormat for that floating plastic. I went to take a look. It's not far from shore. So we're on a bangka, which is a Filipino boat, a wooden boat about 20 feet long, 3 feet wide. I could see lots of mangrove trees. The island could be a place for a resort, except that what looks like Spanish moss hanging from the branches isn't. It's plastic bags. On the way out there, you look along the shore and it's just one long line of plastic debris. To get ashore, we walk on a little catwalk made of bamboo and held together with a plastic tie. Underneath it, it's plastic, more plastic, more plastic. Hello. JOYCE: The variety of stuff lying around is amazing - shoes, bottles, syringes, even motorcycle helmets. 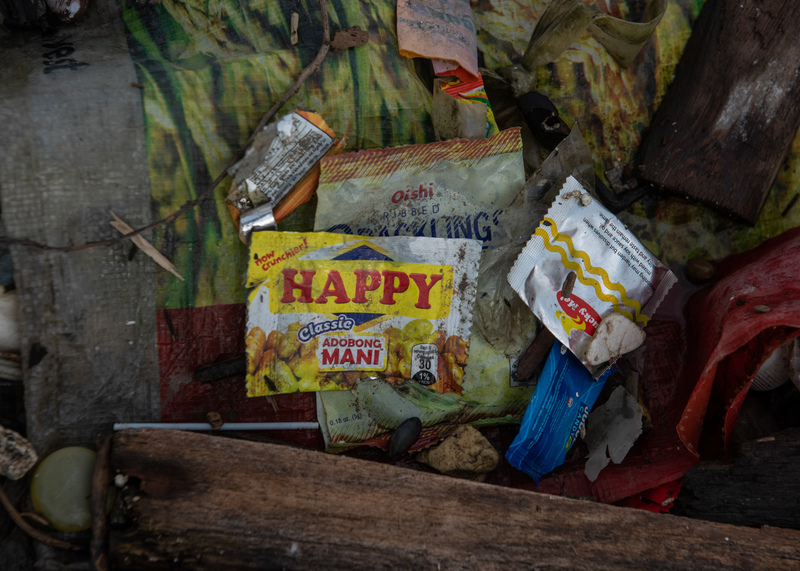 It's impossible to tell exactly where all this stuff comes from, but clearly, a lot of it comes from the neighborhoods surrounding Manila Bay. Some of those neighborhoods are trying to stop the flow of plastic into the bay. I visit to Hulong Duhat. UNIDENTIFIED PERSON #1: Hi, hello. Good morning, (unintelligible). JOYCE: The local government is now requiring residents to actually pick through their trash and segregate out the plastic so the community can deal with it. UNIDENTIFIED PERSON #2: (Unintelligible) Silver. JOYCE: A woman pushes her trash cart through a tiny series of alleys and along with her is a monitor from the neighborhood government. DAHLIA SEQUITA: My name is Dahlia. JOYCE: Dahlia Sequita speaks through a translator. UNIDENTIFIED INTERPRETER: So the policy is that no segregation, no collection. So collection is free, but the household need to segregate their waste. JOYCE: Food waste goes in one bag, metals, paper, glass in another and two bags for plastic, recyclable and non-recyclable. If residents don't comply with all this, they pay a fine. SEQUITA: First offense - 500 pesos. Second offense - 1,000. And third, going to jail. JOYCE: Even jail for not separating plastic from your trash. There are hundreds of official neighborhoods in this huge city. 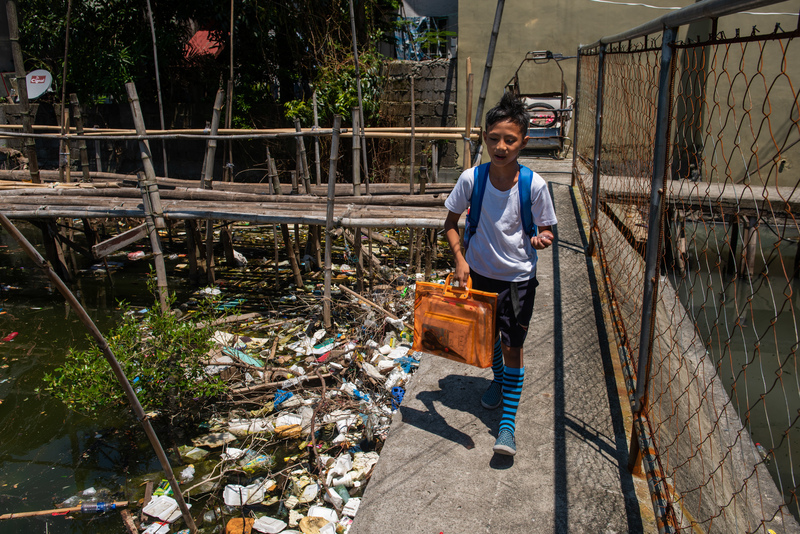 Hulong Duhat is one of just 16 that now require residents to segregate plastic from their garbage. JOYCE: Is it enough? I ask the town's secretary, Nenita Labiano. Do you think it's going to work? I mean, it's like a tsunami of plastic. NENITA LABIANO: (Through interpreter) Well, sometimes I get mad. As a community, we do our part to clean up the waste and educate people about the environment. And in the beginning, people cooperate, but then they go back to their old ways. And it makes me sad. JOYCE: But even when people do do their best, where does that plastic go? That's where it gets complicated. Some plastic, like bottles, gets recycled. But then there are the sachets, plastic packets that contain a single portion of soap or coffee or shampoo. That's how corporations like Unilever and Nestle market consumer goods in Asia, and most of these sachets cannot be recycled. That rankles Froilan Grate. He's with an environmental group, Mother Earth Foundation, which has sponsored the neighborhood cleanups. FROILAN GRATE: The problem is that, for most of these companies, they feel their responsibility to their product ends the moment they sell it. JOYCE: He says there's a reason used sachets end up in the ocean. 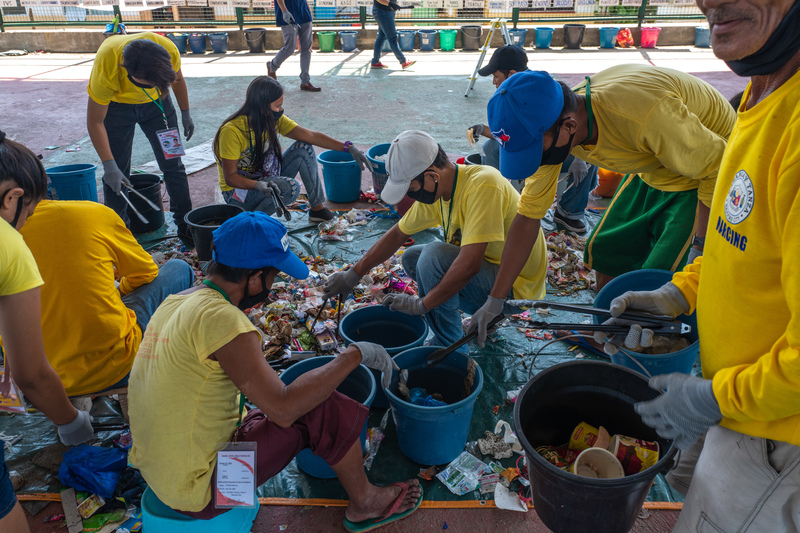 In the Philippines, independent waste workers collect plastic and sell it to recyclers. But if it can't be recycled, like those sachets, it has no value. GRATE: Talk to a waste worker. Can you actually earn from this by collecting it? JOYCE: So they don't collect it. Grate has spent 17 years looking for ways to get rid of plastic waste. He now realizes that Filipinos can't dig out of this alone. Most packaging comes from just a few big companies. He says it's time they take more responsibility. GRATE: You have companies dumping all of this new product and packaging that is beyond our capacity to manage. You earn from this, you know? And you expect all of us to then magically just solve it for you. JOYCE: You can't just magically get rid of something that is permanent, that doesn't degrade. It just keeps piling up. Remember that island I visited? Walking toward the beach, plastic underfoot, I stopped to look at a huge pile of burlap bags stuffed with plastic waste. 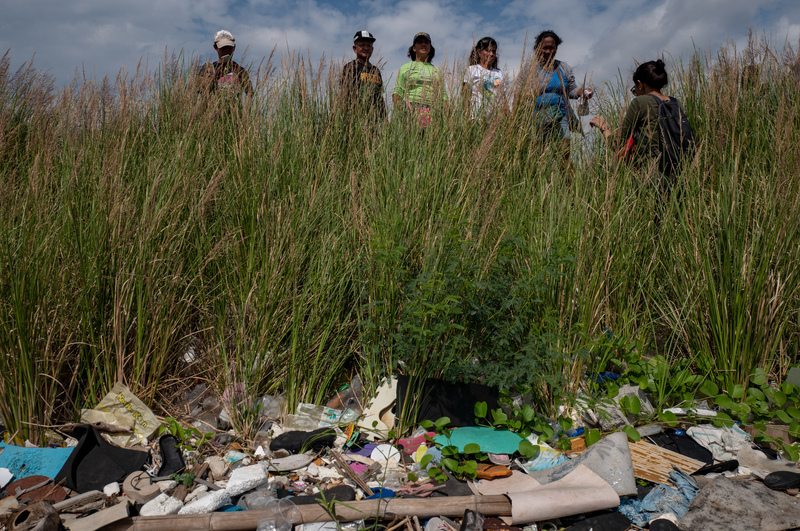 A team of workers collected that waste, one day's work, and yet they barely make a dent. It's relentless. And it buries itself in the sand. It becomes permanent. You kick the sand aside, and there is a plastic tile. There's four or five straws underneath the sand. There's half of a plastic bag. And then mixed in with coconuts and mangrove seeds, you know, it's just - it give you the feeling that you can't ever catch up. That's why many people throughout Southeast Asia are now saying enough. Cleaning up isn't going to fix this. They want to take the fight to the corporations that create the plastic in the first place. Christopher Joyce, NPR News. (SOUNDBITE OF LAPA'S "CETACEAN WAY") Transcript provided by NPR, Copyright NPR. A crew of engineers in the middle of the ocean will try to fix a device that was intended to clean the Great Pacific Garbage Patch, where an estimated 1.8 trillion pieces of plastic have coalesced into a field of debris twice the size of Texas. Packaging designer Ryan Gaither believes in the power of cardboard. At the Swedish-owned BillerudKorsnäs design lab in Portland, Oregon, he's laid down a massive sheet of it, as big as a king-size bed. He flips the switch on a machine that zips around the cardboard, stabbing and cutting it like a robotic exact-o knife. 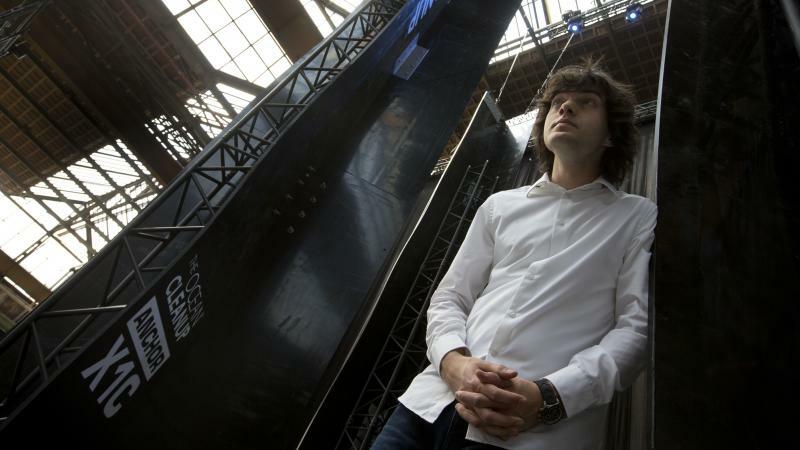 "Basically anything we create, any design we're looking to validate, we cut out with this machine," he says. "This lets us know if we're on the right track or on a fool's errand." 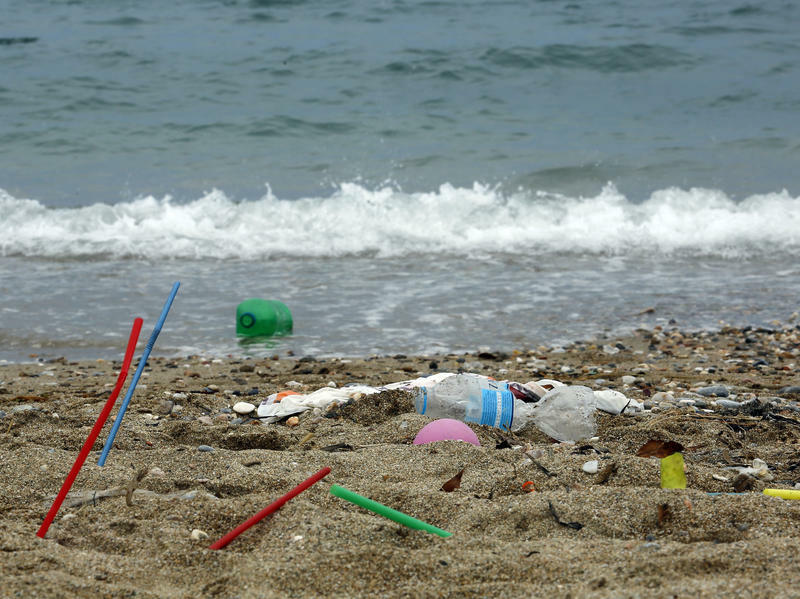 The European Parliament voted on Wednesday to enact a complete ban on some single-use plastics — such as drinking straws and disposable cutlery — across the European Union and a reduction on others in an effort to reduce ocean waste. Members of the European Parliament passed the measure overwhelmingly, by a vote of 571 to 53, with 34 abstentions. Before the legislation goes into effect, the European Parliament must negotiate with the European Council of government ministers from its member states. The council is expected to make a decision on Dec. 16.